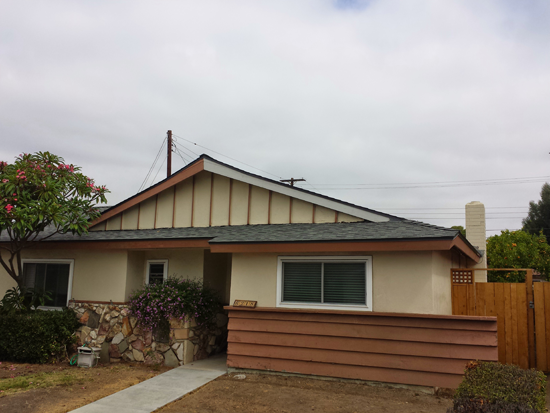 A recent roofing job we finished at a San Diego house in the El Cajon area near San Diego State University. 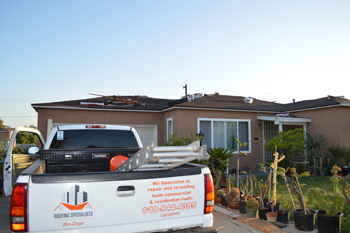 Our crew removed all wood shakes and had to replace over 200 feet of termite eaten plywood on their roof as well. 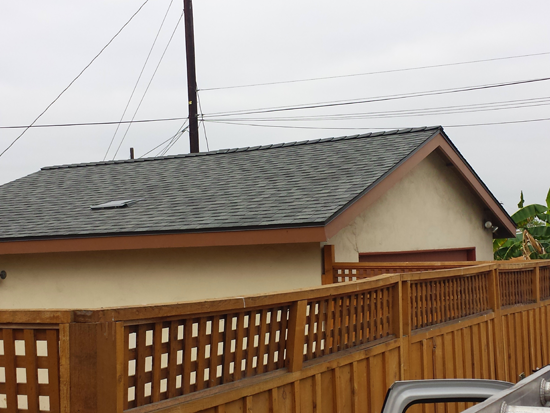 Then our roofing professionals installed 1/2" plywood properly attached to code. 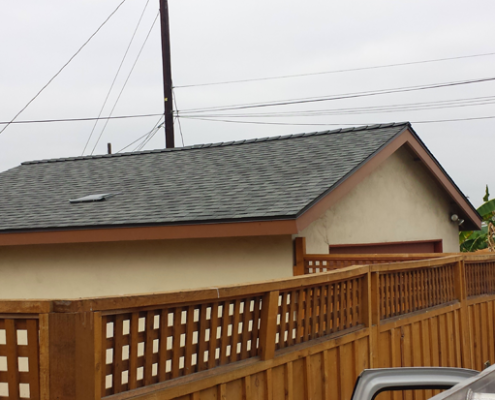 An Owens Corning ridge vent was added to achieve the 1 attic vent per 150 square foot of attic space code as well. 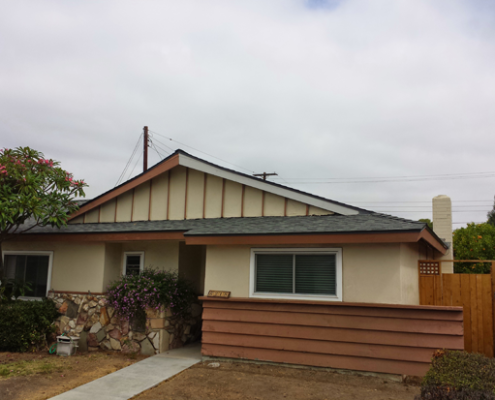 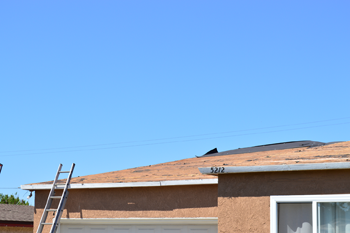 To complete the wood shake replacement our roofers at Roofing Specialists of San Diego installed Owens Corning TruDefinition SureNail technology shingles to get the non prorated 100% warranty covering labor and materials for 50 full years. 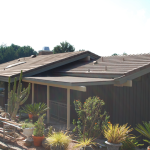 The homeowner said he was very impressed with the quick time in which we completed the project from start to finish.